Employers go through a lot of job applications on a daily basis. With this being said, it gives a big implication that they already know what they are looking for the first time they see your resume. 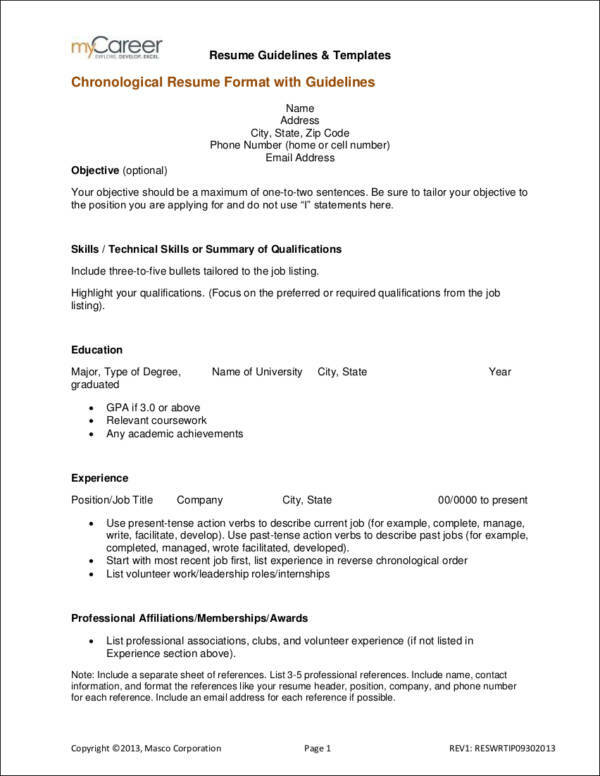 A poorly formatted resume will not be very enticing to read compared to a resume who makes good use of white space, has a uniform font style, and has a simple yet professional design. We want to give you an idea about what is the best resume format to choose for your own resume. We also prepared some great free resume examples that you can use as a reference once you start writing your very own resume. Figuring out what to write on your resume can be such a tedious task, especially if it is the very first time you will be writing one. 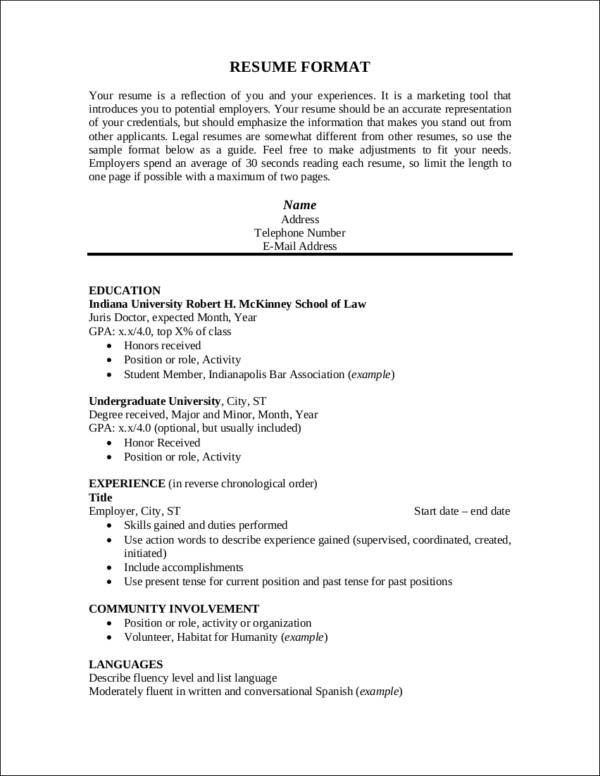 This document will be perfect as it will give you guidelines for what to include in a resume. It even has a list of specific adjectives for specific job positions you might apply for, as well as sample resumes for reference. This sample technical resume will serve as a great guide for job seekers who are looking for techical jobs. This simple guide will let you know what you need to include in your resume and what the content of each section should be. A resume outline is great both for job seekers who are fresh graduates and professionals alike. 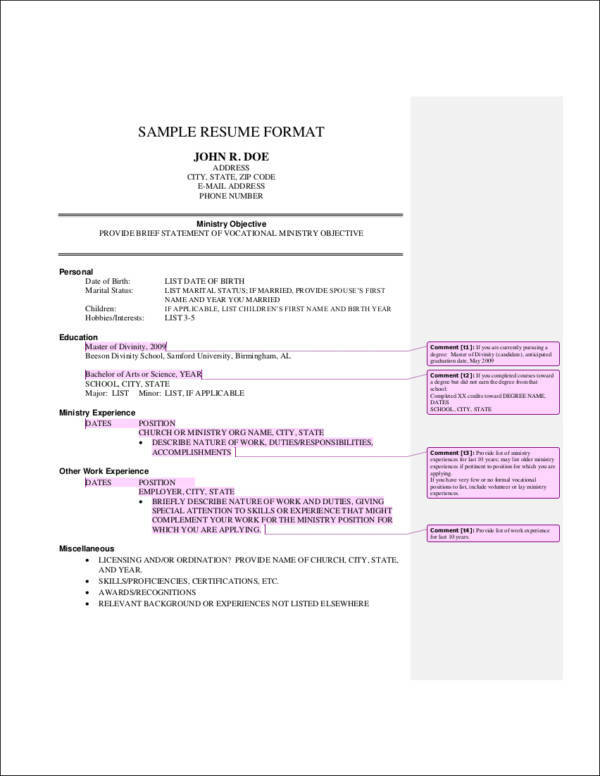 This document in particular gives a breakdown of what the content for each section of the resume should look like. 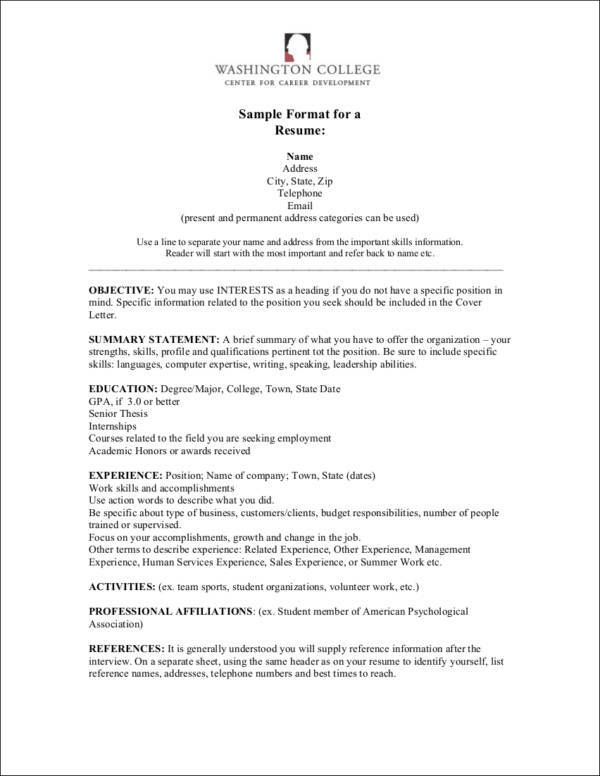 This sample resume format will help you in determining whether you are formatting your resume properly or otherwise. 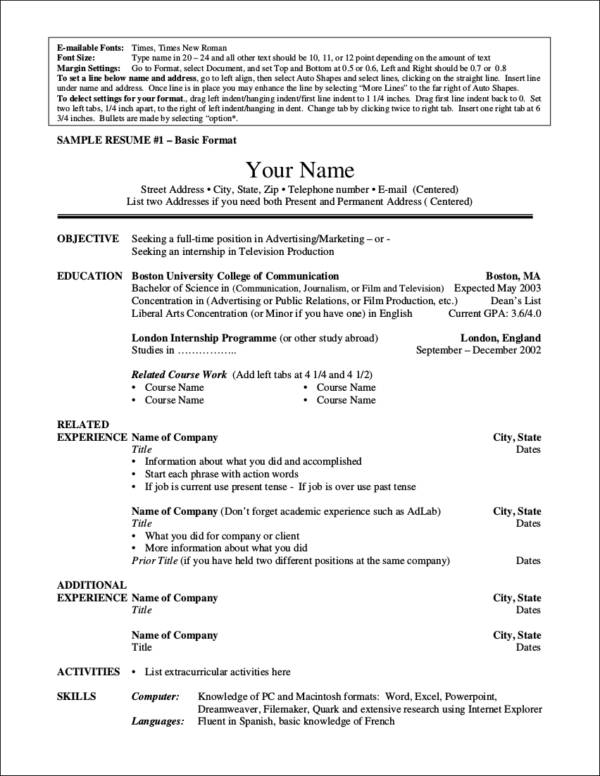 This sample resume outline is a great outline to follow for job seekers of all levels. A chronological resume is one of the most common resume formats used by job seekers. 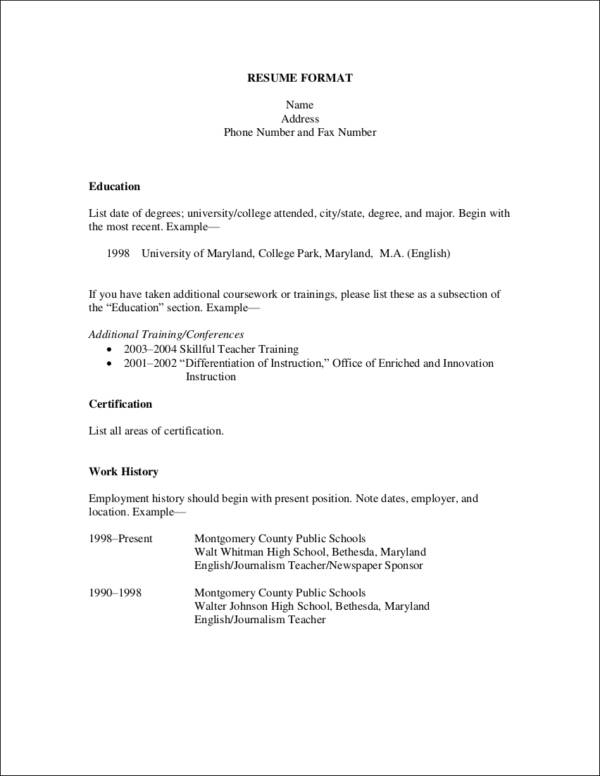 If you are planning on using this format, this sample chronological resume would be a good reference. When it comes to submitting your resume, your main goal is to have the employer go through it instead of having it thrown in the waste bin. This is why you have to take your time in drafting one. Whether it’s your first time writing a resume or if you are currently updating your resume, there are a few things you should follow to make your resume an effective one. Mind your margins and spaces. Make sure you keep a one-inch margin on all sides of your resume. This makes your resume look less cluttered and is sure to not give an eye strain to the reader. Proper spacing in between sections is also ideal. Keep fonts uniform. Make use of one font style in your resume. It makes it more readable. If you have to use another font for your headers and sub-headers, make sure it will complement the font of your main texts. Keep italicized and bold texts to a minimum. You can use bold and italicized texts for your headings and subheadings but keep your main text plain. Make use of a list. Lists are easier to read compared to blocks of texts. This can be used for the skills and qualifications section. Use a plain white background or paper. In case you just really want to stand out, choose a different shade of white instead of using pink paper with glitters and unicorn horns. Eggshell white, pale cream, or ivory are good color choices for your paper. 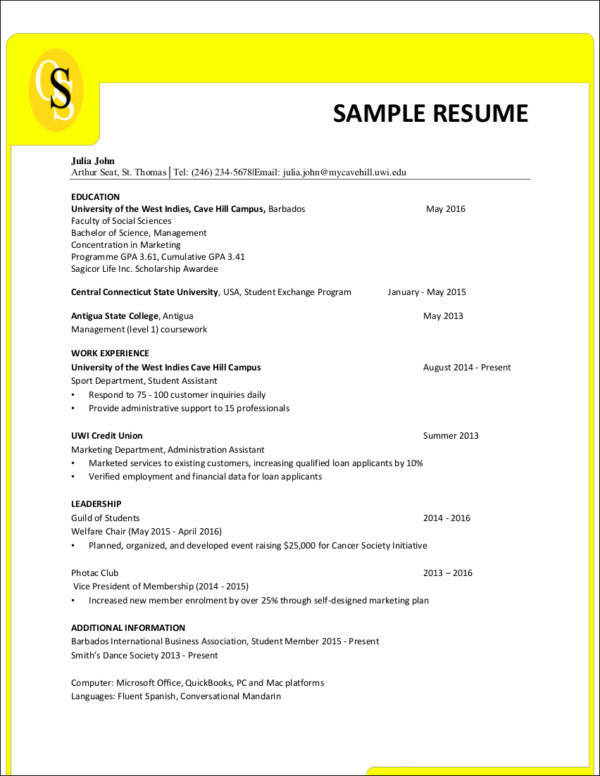 This basic resume outline sample will give your resume a simple and elegant look. You can play with the fonts you want to use. 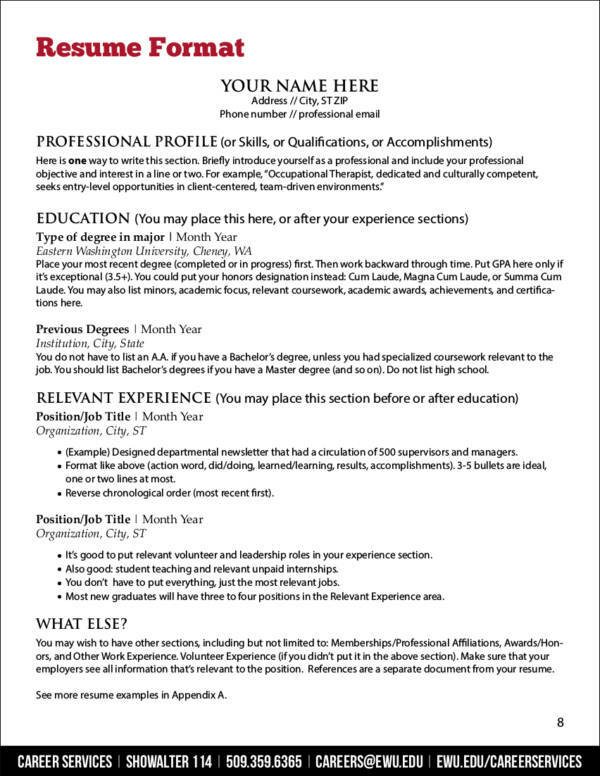 This resume format sample will serve as a great reference for starters. It will give a brief description about each section, which can help ease the confusion about what needs to be included in a resume. There you have it! Formatting your resume is not that complicated. However, you just have to make sure that you are able to do it properly in order for your resume to be effective in its purpose. 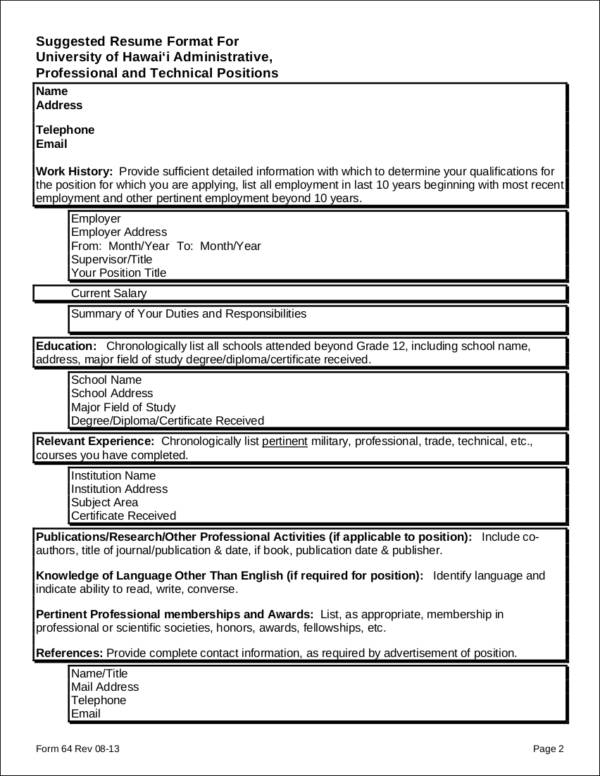 Do not hesitate to check out all of the resume samples we have collected. They are all for free, so you need not pay a single cent. Just relax and take it one job application at a time. Good luck!